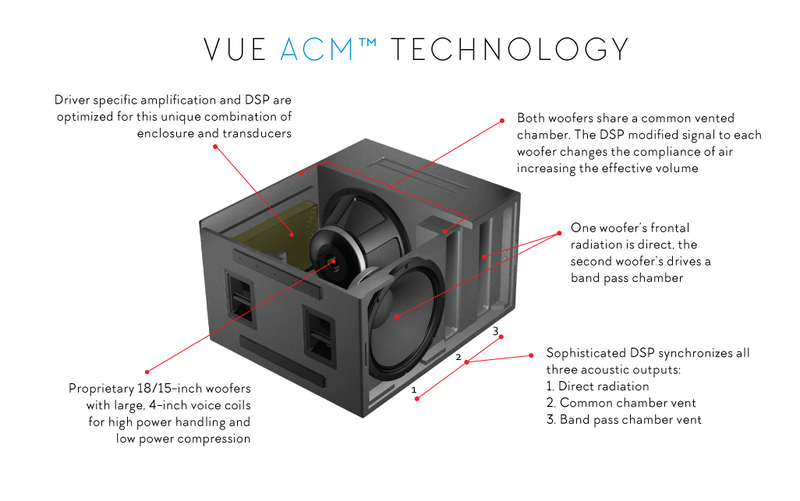 ACM the first major advance in vented box subwoofer design in decades. 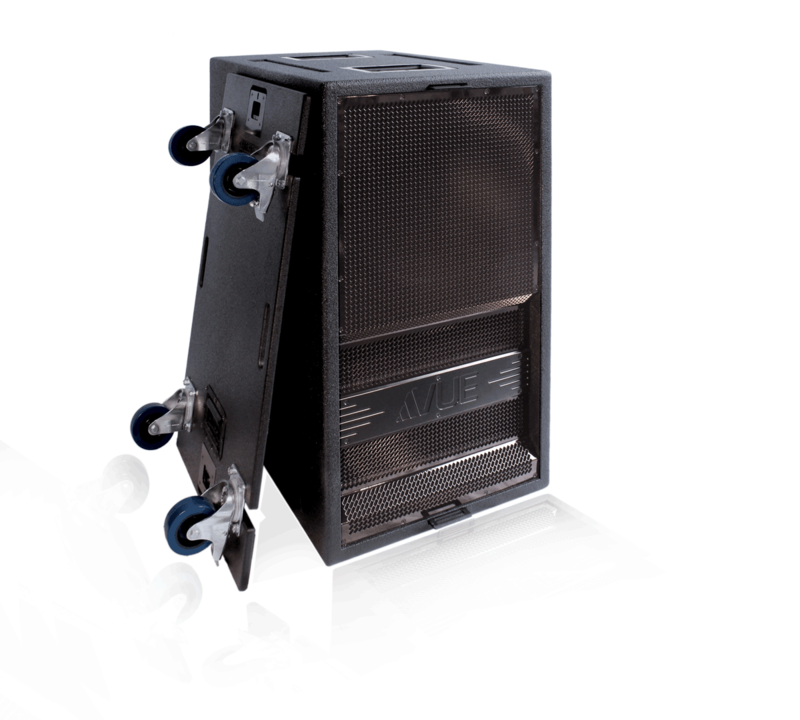 ACM is a patent-pending, unique hybrid design that combines the attributes of direct radiating and band-pass configurations to reduce distortion and increase sound pressure output while decreasing box size. 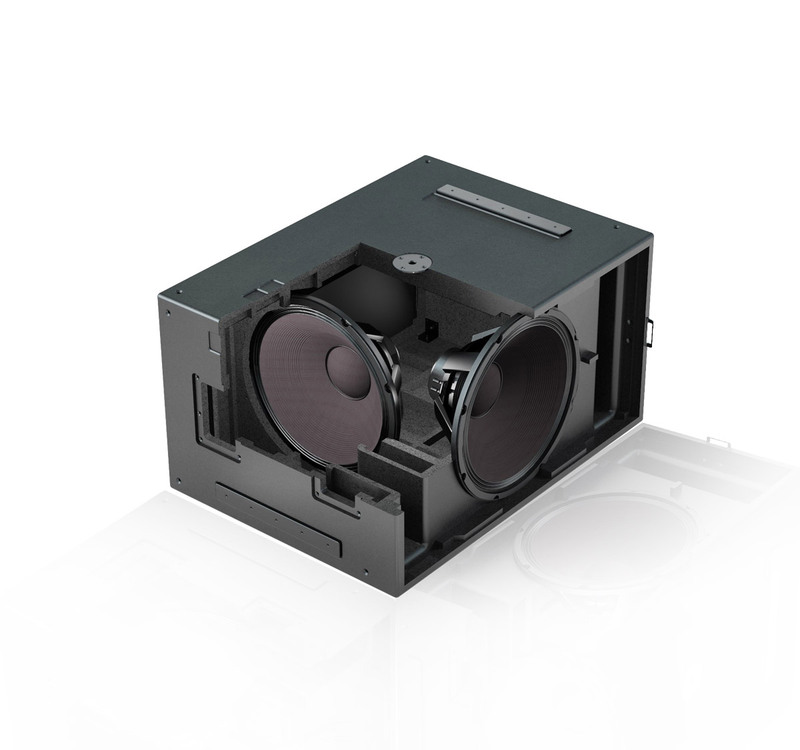 ACM technology utilizes a unique hybrid configuration in which two woofers share a common vented chamber. One woofer’s frontal radiation is direct, while the second woofer is set at 90 degrees and drives a bandpass vented chamber that has fourth-order response characteristics. Each woofer has its own amplifier and DSP control. This sophisticated combination of physics and DSP yields a substantial increase in amplitude over conventional designs, with the summed output of drivers and vents maintaining flat phase response and exhibiting low distortion, while occupying a more compact enclosure. ACM changes the effective compliance of air in the common chamber. This is caused by the asynchronous signals to each driver. With out delay both drivers act as a normal dual driver vented system and produce symmetric pressure in the internal chamber, but interfere with each other’s acoustic output. The delay on the bandpass loaded woofer produce summation of the acoustic output but produces asymmetric pressure in the internal chamber. 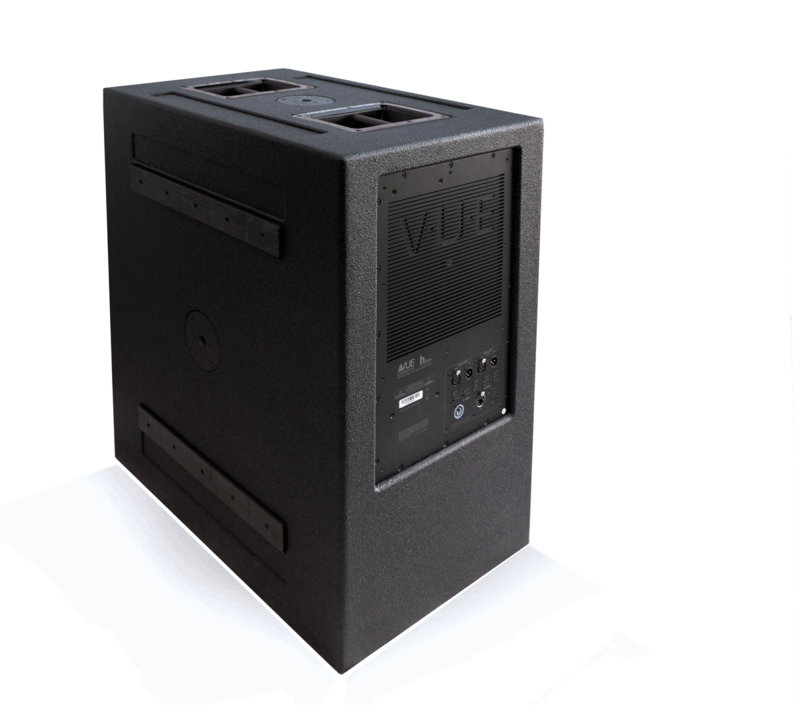 ACM produces significantly more low-frequency output from a smaller enclosure. The plot above illustrates the advantages of ACM over simple vented designs, the hs-221 produces the same SPL with a half octave lower response than industry leading dual 21 inch vented systems. ACM (Active Compliance Management): Patent-pending hybrid design combines both band-pass and vented alignments into a single, compact footprint for more output and definition. Premium birch plywood enclosure with extensive internal bracing and a highly-durable Dura Coat finish.